With the new settings for the Ford Mustang GT, it’s clear that the American car maker wanted to change how drivers were able to customize their experience. You can personalize practically everything about the new GT, including its performance settings and exhaust. The latest GT comes with three different engine choices, two transmission styles, and five performance settings. This means that you can choose an economical option or you can choose drag strip to get the most out of your engine. However, when you’re getting a lot of roar from your engine, it can be difficult to start up in the morning without waking the baby or your neighbors. 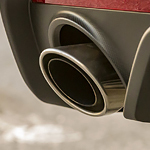 For that, Ford created the Active Valve Performance Exhaust system. This means that you can adjust to whisper quiet mode in the morning for starting your engine with a low decibel, or if you want to arrive to the party in style, you can set it to track mode to boost your sound level. You can check out the latest Mustang GT when you visit Plantation Ford.